SINTEF Industry performs contract research and delivers solutions and services that create value for customers. With our cross-disciplinary knowledge base and advanced laboratories as a base, we develop – in close collaboration with our customers – technology and solutions within a broad range of research areas and industries. At present, the Hall-Héroult process is universally used in the production of aluminium. It is an electrolytic process in which aluminium oxide is dissolved in molten cryolite (Na3AlF6) and then reduced electrolytically to aluminium at a temperature of around 960°C. The process uses carbon anodes that are consumed during the electrolysis, forming CO2. Aluminium oxide (alumina) is produced from bauxite, an alumina-rich clay mineral, by means of the Bayer process. 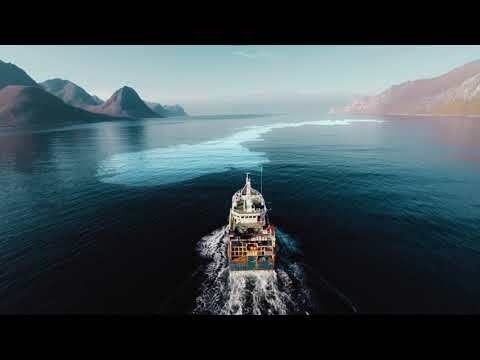 The LowEmission Research Centre will develop new technologies and concepts for offshore energy systems, energy efficiency and integration with renewable power production technologies for application on the Norwegian Continental Shelf (NCS). The goal of the HEATER project is to design high-entropy alloys for functional applications using a high-throughput approach based on theoretical, computational and experimental data. The objective of WASTE2ROAD is to develop a new generation of cost-effective biofuels from a range of low-cost biogenic residues and waste fractions (contaminated wood, black liquor from pulp and paper industry, and municipal solid organic waste incl. food residues). Through optimisation of European waste recycling logistics and development of efficient low-risk conversion pathways, high overall carbon yields > 45% can be obtained while reducing greenhouse gases emissions > 80 %. The objective of DACOMAT is to develop more damage tolerant and damage predictable low cost composite materials in particular aimed for used in large load carrying constructions like bridges, buildings, wind-turbine blades and offshore structures. The developed materials and condition monitoring solutions will provide high tolerance for manufacturing imperfections and high capacity to sustain damages. This will enable large composite structures to be manufactured and maintained at low cost. SINTEF Industry is represented in the national research centers for environmentally friendly energy (FME) and research-based Innovation (SFI). We have several Gemini Centers in cooperation with NTNU in Trondheim and the University of Oslo. The purpose of the SFI is to build up and strengthen Norwegian research groups that work in close collaboration with partners from innovative industry and innovative public enterprises. Centre for Advanced Structural Analysis (CASA). Center for innovative ultrasound solutions for health care, maritime, and oil & gas industries. The objective of the scheme for FME is to establish time-limited research centres which conduct concentrated, focused and long-term research of high international calibre in order to solve specific challenges in the field. The Gemini Centres form a model for strategic cooperation in which scientific groups with parallel interests coordinate their scientific efforts and jointly operate their resources. The institue performs research and development, advanced consultancy and laboratory services. We work closely with industry in development of advanced materials, products, processes and new tools, and seek out new, environmentally friendly processing methods that will increase productivity and raise quality standards. SINTEF Industry has facilities in Trondheim and Oslo, Norway. SINTEF Industry is situated at 9 locations in Trondheim. Search for the name behind the order, klick on the name, and see the map below for the correct street address.